Coming off of the giant project that reformed my front yard, I thought to myself, “I can’t stand not being worn out everyday! 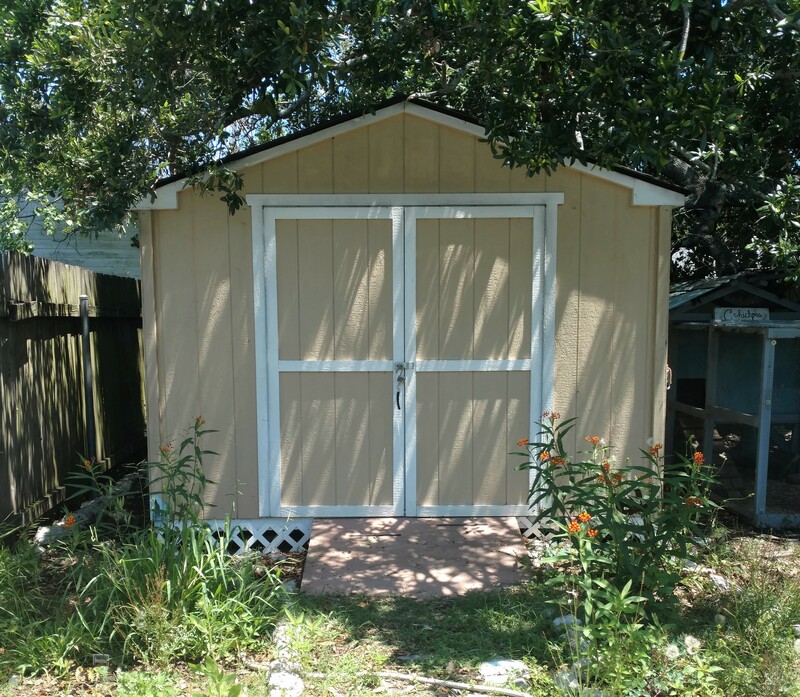 I need to sweat until my eyeballs slide out!” Enter: Shed Expansion. 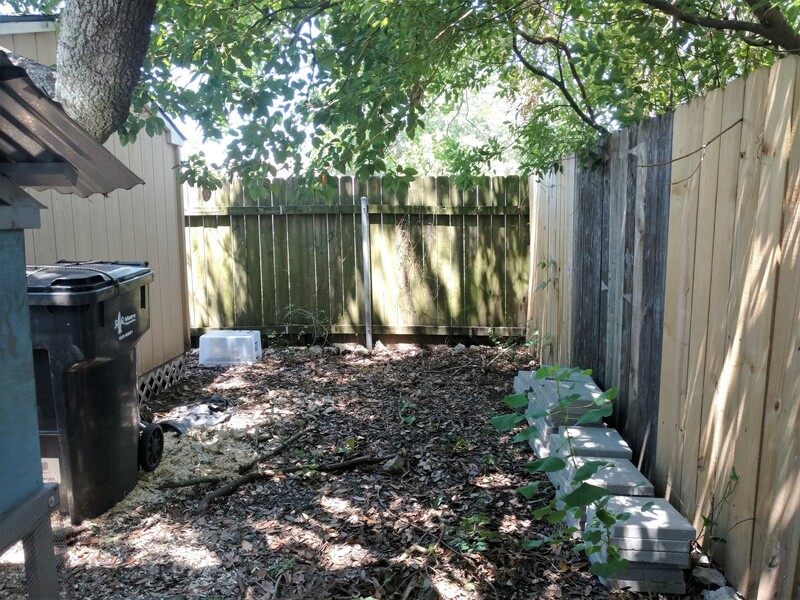 There’s nothing inherently wrong with my little 10’x10′ shed. 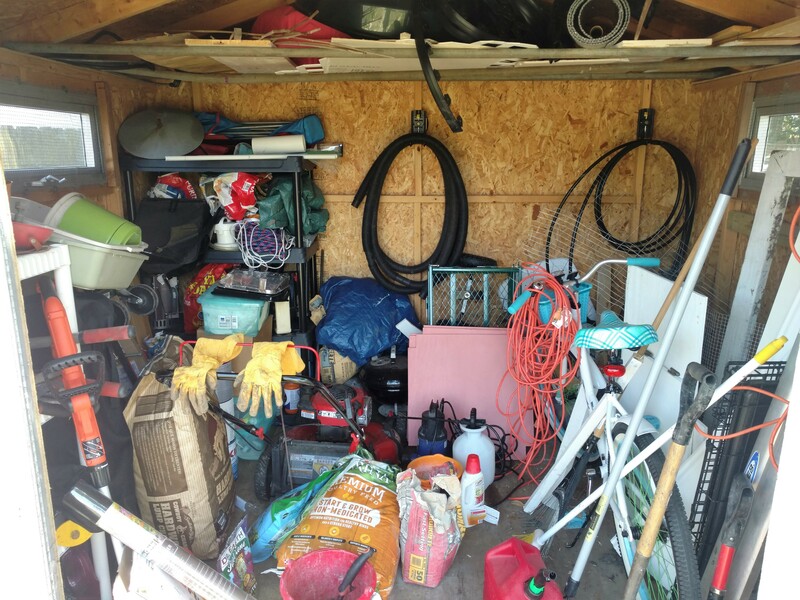 It’s perfectly find for storing a small amount of lawn equipment, tools, and old paint. But I’d really love a workspace. And, if at all possible, a little greenhouse would be nice too. Peekaboo, I see you hiding back in those branches. My backyard isn’t huge, so I can’t go too wild. I’m planning on lengthening the shed by a moderate 6 feet for a final footprint of 10’x16′. There are some issues to take care before I go construction-crazy, though. First of all, some equipment like my lawn mower really can’t afford to sit outside in summer thunderstorms, so I installed a little resin shed behind the existing shed. 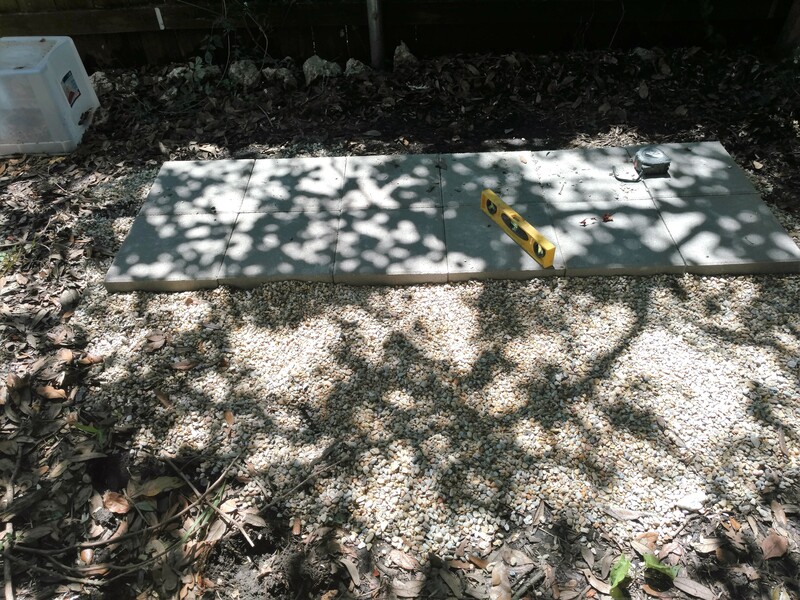 Building a level surface out of pea gravel and pavers. 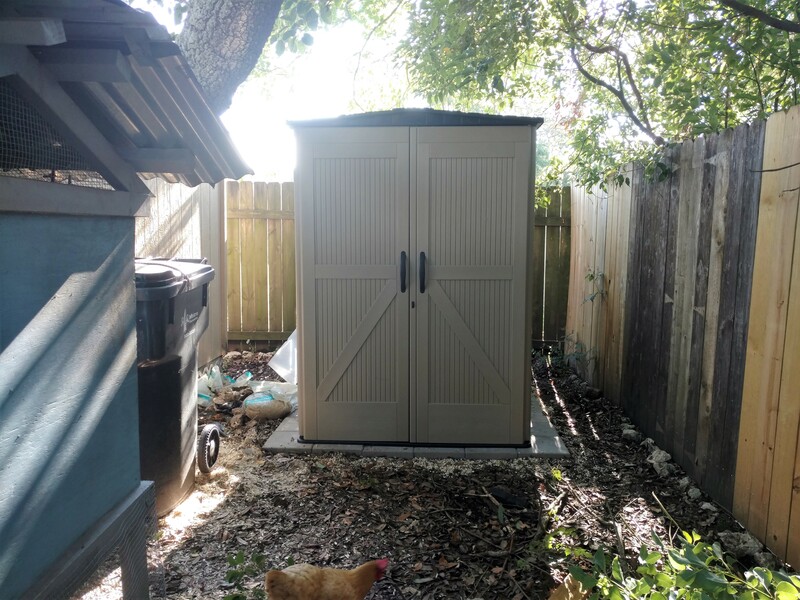 Happy little resin shed (with bonus chicken)! After everything moves back into the main shed, I plan on keeping my chicken and duck supplies in the resin shed. Currently, the wood shavings, feed, etc. live in that trash can to the left of the resin shed. YUM. The littlest shed had performed beautifully so far. Do you want to see how much stuff fits inside that lil 5’x6′ box? Okay, every single piece of this did not end up in the resin shed. I’m getting rid of the bicycle, and a lot of the wood and tubing will live outside for a bit. But that little resin shed is packed to the gills now. On the next post, I’ll share how things have gone . . . not so well in the next stages. Until that point, though, I have time to recover those mistakes so I can present something a bit more hopeful and wizened!